Christopher Robin European Premiere! Ewan Mcgregor! Hayley Atwell! Jim Cummings! and More! 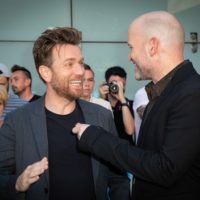 The stars of Disney’s “Christopher Robin” including Ewan McGregor, Hayley Atwell, Bronte Carmichael, Mark Gatiss, Jim Cummings, Sophie Okonedo, Simon Farnaby and director Marc Forster attended the BFI Southbank Cinemas in London for the film’s European Premiere earlier tonight. Check out the photos from the event below! Throwback Thurs! SDCC! Marvel Madness! Captain America! Chris Evans! Agents Of S.H.I.E.L.D.! Orphan Black! Samuel L. Jackson! 7th Son! Jeff Bridges! Autographs And More! Billy Joins The Agent Carter Fanclub After Meeting Ms. Hayley Atwell! Autographs! Posters! And LA Comic Book Goodness! Billy Beers Barstool August 24, 2015 Billy Beer's Barstool, Conventions, Fanboying! Erica Meets Agent Carter Herself Hayley Atwell! 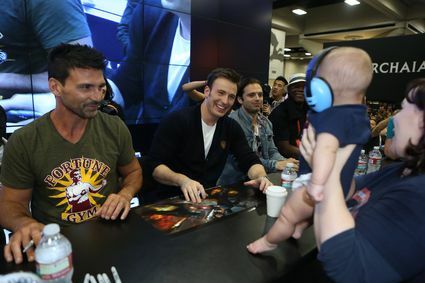 Marvel Autograph Signing Goodness! Photos! And More! Karalee’s Awesome Photos From The Iron Man 3 Premiere! Robert Downey Jr.! Don Cheadle! Jamie Alexander! Guy Pierce! Zachary Levi! Cobie Smulders! Autographs! Photos! And More! Iron Man 3 Hollywood World Movie Premiere! Billy Beer Is On The Scene! With Robert Downey Jr.! Don Cheadle! Guy Pierce! Jamie Alexander! Zachary Levi! Cobie Smulders! Hayley Atwell! Autographs! Photos! And More! Captain America Craziness! 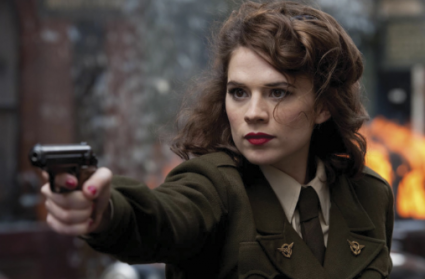 Will Peggy Carter Be Getting A Spin-Off Short Film? Something Is Going To Happen At Comic Con According To Hayley Atwell!